That sniffling, that sinus pressure, and all that sneezing must be caused by something. The big question is: what? Although these things are usually harmless, people who have developed allergies to them will find they cause a lot of misery, and sometimes lead to serious health risks. In America, more than 50 million people suffer from them each year. That adds up to an annual cost of more than $18 billion. 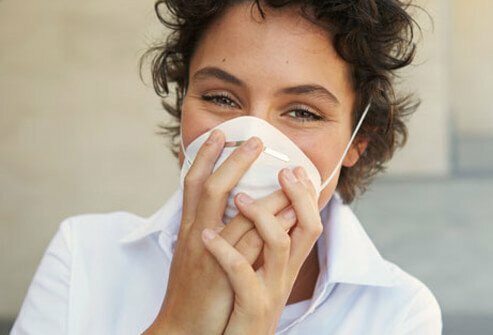 In the following slides, learn more about nasal allergies, like who’s at risk, why allergic reactions occur, how they affect your health, and how they can be treated. 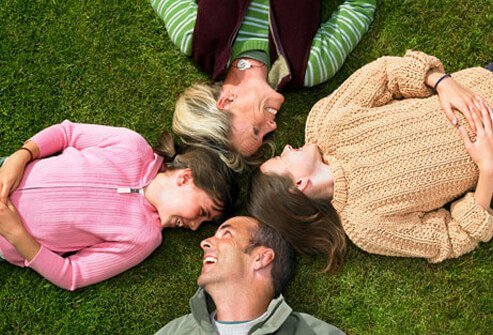 Your immune system targets and protects you against health threats like viruses and harmful bacteria. 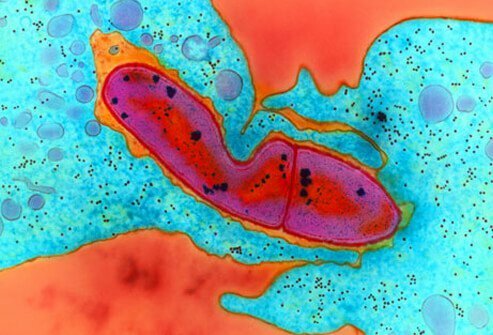 In this photo you can see some bacteria (pink). But if you're allergic to pet dander, for example, your immune system sees them as a threat, just like a harmful virus. So when you're exposed to pet dander, your immune system is ready to fight. When your immune system reacts to an allergen, the effects on your health can range widely. Some immune reactions are mild, like the nasal problems being discussed here. However some reactions can be life-threatening, as in the case of anaphylaxis, also known as anaphylactic shock. Like anaphylaxis, asthma can be life-threatening in severe cases. Asthma often causes your breathing passages to become inflamed and tight, causing symptoms such as wheezing, cough, and shortness of breath. The relationship between asthma and allergies is complicated. The two conditions seem to be related, as many people with asthma are also prone to allergic reactions. What Are Your Allergy Triggers? an allergen. Below we discuss two of the most common triggers. Dust mites are among the most common allergy triggers. These microscopic creatures live on dead human skin flakes found in household dust. They love warm, humid places, and even immaculate homes have them in the carpet, curtains, upholstered furniture, and stuffed animals. 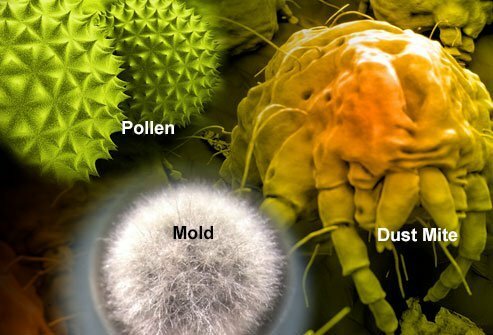 Pollen is the reason for seasonal allergies. It is carried in the air and helps grasses, weeds, and trees fertilize and spread. Pollen prevalence can be predicted by the season, but pollen counts vary from year to year, and from region to region. By checking local weather forecasts, you can easily discover the current pollen count. Once an allergen enters your body, your immune system reacts and starts making antibodies. Antibodies can be so specific that they only target certain types of pollen, for example. 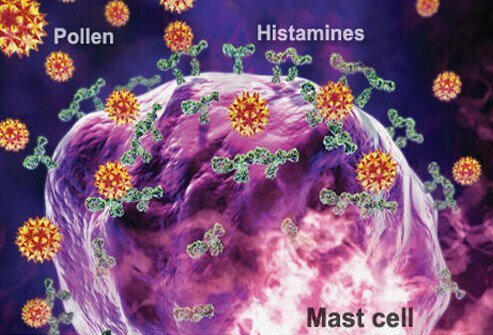 When the immune system detects an allergen, more of the proper antibodies are produced. The antibodies set to work searching for the offending allergen and eventually get rid of them. Like many other issues related to your health, whether or not you become allergic tends to be determined by your parents. 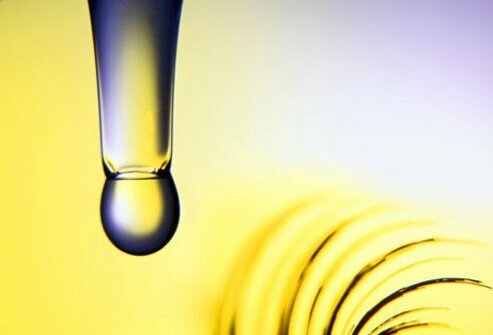 When one parent is prone to allergic reactions, a child’s chances of getting them stands at about 50%, and when both parents are affected, the child’s risk goes up to 80%. With that said, anyone can experience allergic reactions, regardless of race, age, gender, or any other status. Children tend to be affected more than adults, however. Whether someone develops an allergic reaction can depend on how much they’ve been exposed to a particular trigger. Some allergies can take years to develop. Avoid allergy triggers when you can. Check pollen or mold reports before going outside. If levels are high, think about wearing a face mask. During allergy season, shower before going to bed so you don't go to sleep with pollen in your hair. Keep windows closed and run the air conditioner. Vacuum twice a week to cut down on allergens. Over-the-counter medicine can help control symptoms of allergic reactions. Such medicines include antihistamines and decongestants. These medications may be administered in different forms, such as pills or capsules, liquids, eye drops, or nasal sprays. Talk with your pharmacist or doctor about which medicine might be best for you. Allergies can be notoriously difficult to identify. If you can’t say for sure what’s causing them, or if they’re severe, an allergist can help. Allergists and immunologists are medically trained to identify and treat your symptoms. The doctor will take your medical history and may perform tests. 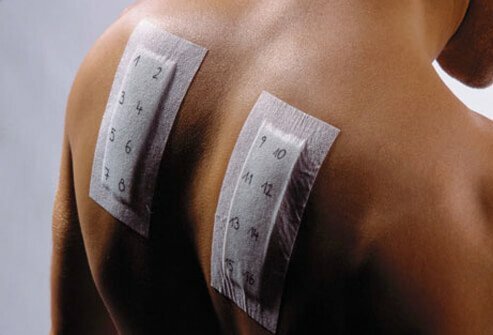 These tests expose you to possible allergens in a systematic way to see which allergens may cause a reaction. Depending on your allergic symptoms, your doctor may suggest prescription medications or allergy shots. Texas A&M Agrilife Extension: "Controlling Allergy Triggers in the Home." 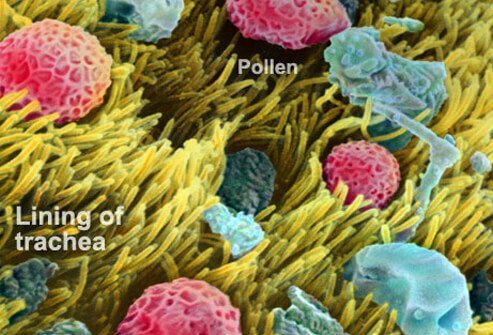 University of Rochester Medical Center: "Allergies and the Immune System."